Hornby BR 4-6-0 5050 'Earl of St Germans' Castle Class - Early BR with TTS Sound. 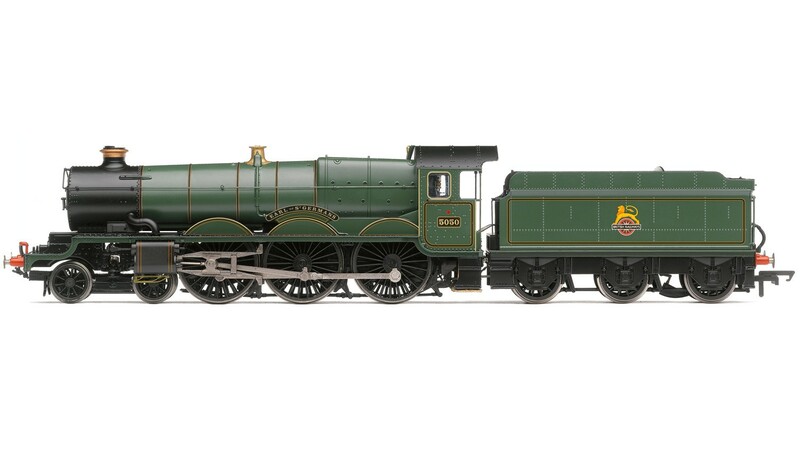 Gauge: 00, DCC Type: DCC Fitted, Livery: BR Early Green, Class: Castle, Designer: Charles Collett, Period: 1920s, Purpose: Express Passenger, Wheel Configuration: 4-6-0. Minimum Curve: Hornby 2nd radius + / 438mm+.